As indicated in the two previous fact sheets C5 and C6, there are various organisations with the purpose of managing water facilities in developing countries. Here, we will present three examples of such organisations set up in the Caritas Internationalis network (162 countries) for which the implementation has shown to be a success. 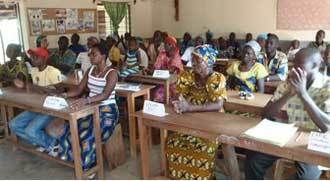 General meeting of a Caritas TOGO water and sanitation management committee in the region of Savanes. 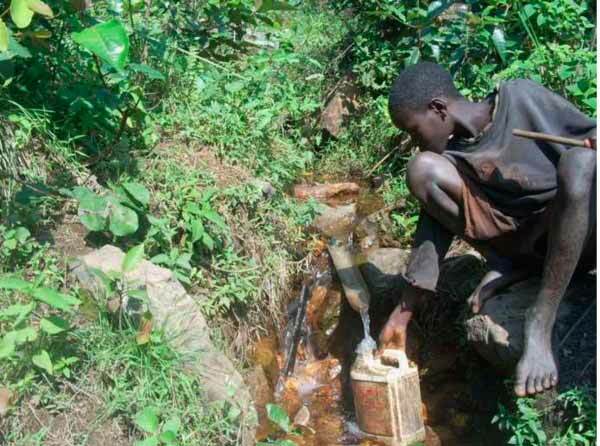 Access to water structuring of local communities for a sustainable management of the hydraulic and sanitary infrastructures in BURUNDI (diocese of GITEGA). Collection and improvement of a source. Substantially improve the coverage of the needs in drinking water and in sanitation of the population of two large towns of Buraza and Bukirasazi and to set it up in a sustainable, fair and controlled manner, by the local stakeholders by creating participative community management structures. Set up of 143 management committees for the sources, 4 for the adductions and 5 "joint hygiene clubs" in schools. ODAG works very closely with the General Directorate on rural hydraulics and energy (DGHER) with which it has signed a protocol for collaboration and to which in particular it submits its action plans for approval each year. It also sends its achievement reports and provides it with the nature and the setup locations of its diverse achievements. It also involves other structures such as provincial and town administrations, RCE (Community Water Boards), Health Centres and schools. ODAG first identified, thanks to its leaders in the field, 4 benevolent leaders (who received travel indemnities only) in each of the two towns in order to make use of them as "relay persons" in order to make aware, involve and train the benefitting populations, then trained them in making communities aware and in the main aspects of the programme for 2 days. ODAG first formed temporary management committees for the hydraulic structures by selecting 3 to 5 people, including 3 men and 2 women, from among the people who most actively participated in the first awareness sessions for all of the population. Their role consisted in pursuing the involvement of the population for the community participation, in monitoring and in managing the materials intended for the construction of structures. Right from the first half-year of the starting of the programme, 73 temporary management committees (one committee per standpost) had been set up. When the structures were finished, it was suggested to the population to transform these committees, or to change the composition of them, into final committees then in charge of the proper use of the structures, maintaining them, repairing them and collecting contributions. 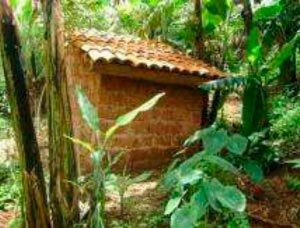 In parallel, in light of its substantial programme of constructing latrines and of informing about hygiene and health, ODAG created "joint hygiene clubs" in the primary schools comprised of about ten people (students, teachers, and parents of students). Once formed, all of the Management committees formed gathered together in a general meeting at each of the two towns in order to form a new RCE, as the previous ones were not operating well, and file its statutes with the Ministry of the Interior. - defines with the local authorities the role and the attributions of the RCE as well as the royalties. - ensures the maintenance and renewal of the facilities and signs where applicable maintenance contracts with local artisans or creates a technical department. The entire programme was able to be carried out thanks to the very strong involvement of the population, the creation of management committees, Community water boards and joint hygiene clubs, to an ODAG project team comprised of 13 people including a project manager and his deputy, 3 supervisors, 3 leaders, 1 driver and 4 maintenance personnel, the use of a 4x4, 3 motorcycles and a computer and the creation of pedagogical tools (5 facilitation kits). It is planned to continue this programme from 2012 to 2014 in two new larger towns in the provinces of Mwaro and Gitega benefitting 65,000 people. 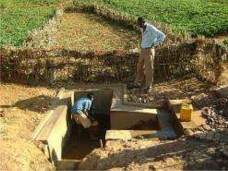 - laying out 2 perimeters for vegetable gardens in order to increase the revenue of 32 families (4 wells and two sources). Creation and official recognition of a "water and sanitation" management committee in each water point. The leaders, technicians and sociologists of Caritas Ethiopia first organised information and training meetings in order to make the population aware of the importance and of the content of the tasks that it will would have to carry out itself. They then organised community meetings in order to explain the interest in setting up management committees and the way to elect them democratically. During these meetings, the villagers discussed the manner in which the Committees would be comprised (here, 3 mean and 3 women) and how the elections would be held, the criteria for choosing candidates, the role of the members of the Committees… Once each community had reached an agreement on these various points, elections were organised everywhere to elect the members of the committees and of the various commissions created (4). Once elected, all of the members benefitted from general training or training more specific to the nature of their functions. 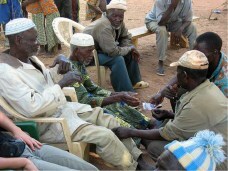 In order to define the rules for operating, using and maintaining the water points then officialised in a set of rules of procedure for the water point, meetings were organised within each committee but also with the population in order to allow it to contribute to the issues that should be mentioned in the statutes. Once adopted, these statutes were registered with the woredas authorities. A current trend consists in gathering together all of the users of water points within official associations of which the purpose and operation are subject to statues drafted by the communities and Caritas Ethiopia in relation with the authorities and registered with the woreda authorities. Organised in 2 phases, a practical and a theoretical phase, the latter especially covered the duties and the responsibilities of each member of the committees, on the management methods of the water points (royalties, budgets, opening of a bank account, financial control, etc. ), the method for operating and maintaining the water pumps, the compiling of a database on the main characteristics and possible breakdowns of the facilities, database which are sent on a periodical basis to the water departments of the region and of woreda, and finally and above all, within the framework of a specific programme, the issues concerning hygiene and health. Meetings were organised beforehand with all of the population in order to explain the various elements in the coast of water and the need to constitute financial provisions for maintaining check structure. Then, each committee was given the liberty to define its own rules (whether or not to have a monthly contribution, lump-sum or by volume, by litre or by bucket, etc.). Most chose contributions via volume and most often by kettle or jerrican (5 to 15 Birr cents, or 0.4 to 1.2 euro centimes), several preferred a lump-sum monthly contribution of 1 to 3 birr per household, i.e. 8 to 25 euro centimes. Access in TOGO to water and sanitation, rendering accountable, rendering autonomous and organisation of the populations for sustained management of the facilities and hygiene and health awareness. 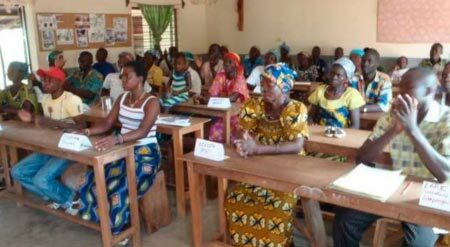 Three-year programme (2009-2011) created by JARC (Movement of Catholic Agricultural and Rural Youth) in partnership with CARITAS of TOGO and co-financed by the "Grand Lyon-Veolia" and "SOGREAH" (Grenoble) Foundations. 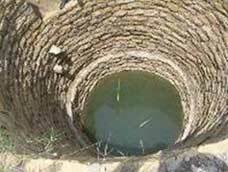 - construction of 30 new large-diameter wells, deepening of 2 dried-up wells. 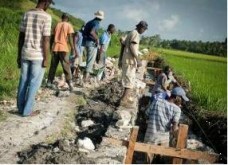 - training/awareness of the beneficiaries of the structures for sustainable management of the resources. As this conditions the success and the perpetual nature of the programme and precedes the setting up of participative management for the facilities, this constituted the first step in the programme. A survey / study of the environment was in parallel systematically carried out in order to establish a precise diagnostic of the needs. The commitments made by the villages were materialised via the signing of a contract between JARC and the community before the work was launched. The method of implementation (vote, designation, etc.) was left to the discretion of the village. The JARC leader played the role only of a facilitator in setting up the committee, complying with the desires of the populations. - organising the work during the sinking of the well until the end. The Management Committees were comprised of a chairman, secretary, treasurer, two women in charge of cleanliness around the water point and two men in charge of repairing and maintaining the structure and also playing the role of advisors in settling and disputes. During the execution of the work by 2 well diggers, the Management Committees each day designated 6 villagers to participate benevolently in carrying out the work. 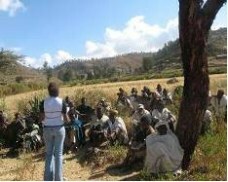 Several training sessions, generally for 3 days, intended for members of new Management Committees several at a time and in the presence of members from already existing committees, were organised, with the task for them to then retransmit the knowledge in their villages, to the users of the water points. The training themes were as follows : The role of the members of the water committees, management methods, collecting royalties, measuring hygiene and the rules for using the water points, knowledge of the diseases linked to water, methods of transport, storage and manipulating water at home. All of this training was provided by a state hygiene assistant from the regional hygiene and sanitation department, the JARC health education representative and the monitoring/evaluation representative for the hydraulic programme. Thanks to the making available free of charge of experts by SOGREAH, JARC received training on creating a database intended to capitalise the geographical and physical-chemical characteristics of the structures created. Trips in the field made it possible to learn how to use GPS receivers by taking the coordinates of several structures and by taking advantage of this to take and log the results of water quality analyses. Certain leaders from JARC became familiar with the Mapsource, Mapinfo software and elaborated a geolocation for all of the structures to which was attached an inventory of all of their characteristics and a logbook for jotting down all of the interesting parameters for monitoring the structures. - Caritas Togo/ JARC : "Training workshop for members of Water Management Committees of JARC in Dapaong". A 14-page report (May 2011) full of information and practical exercises concerning this workshop, providing details moreover on the roles and responsibilities of a Chairman, Secretary, Treasurer and the Hygiene Managers of a Management Committee, workshop organised within the framework of the programme described hereinabove (in the 3rd example). Document available on request from the Department of international action and advocacy of Secours Catholique-Caritas France (106 rue du bac 75007 Paris) .